This post contains affiliate links, which means I receive a small financial compensation if you make a purchase using this link. How many of you are tired of digging through your messy closet to try to find something to wear? I for one can relate! Since our home was built in the 60's we do not have the luxury of walk-in closets in our bedroom. 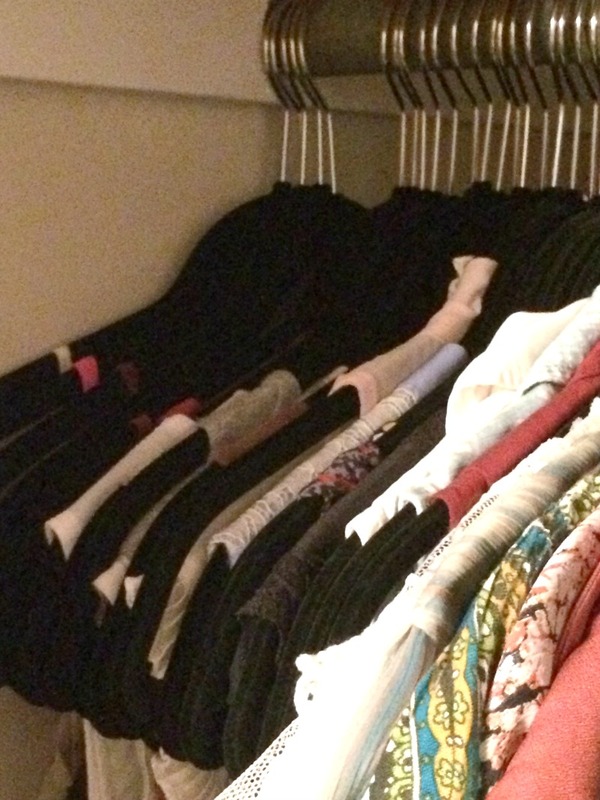 I am grateful that we at least have two closets in the master bedroom, otherwise my husband's wardrobe would be out of luck! (Sorry, Honey!) 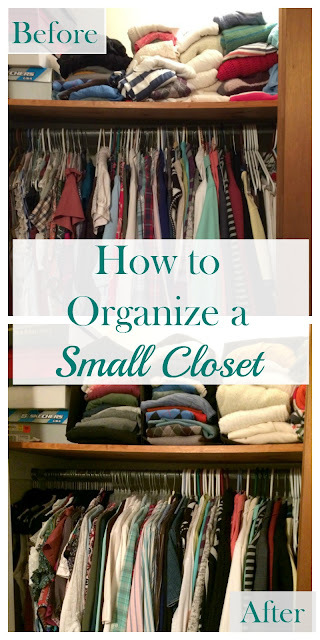 I finally got fed up and decided I was going to organize my small closet once and for all...and I did it for under $50! 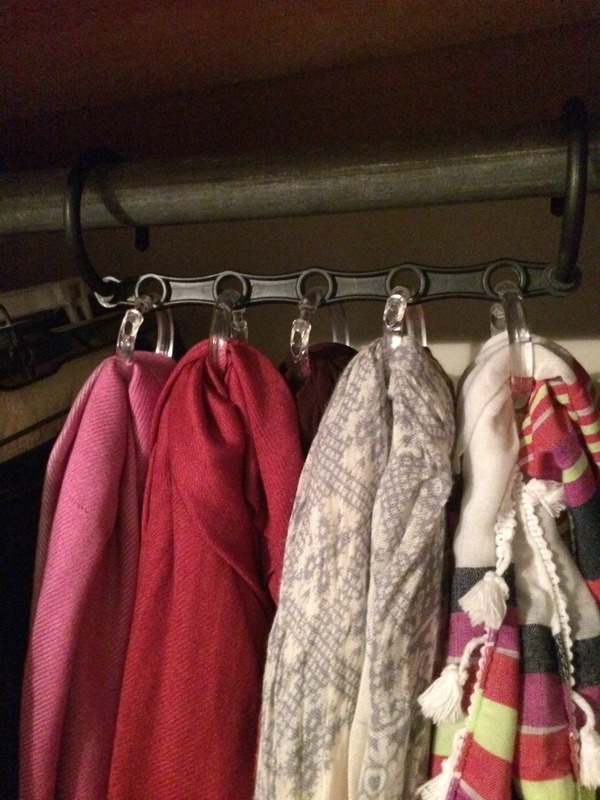 Get matching hangers: I cannot believe I waited so long to do this. 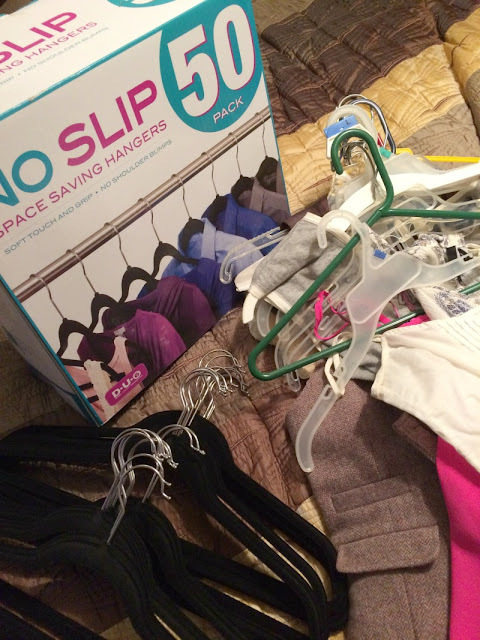 I picked up a box of 50 No Slip hangers for $20 at At Home. I grossly underestimated how many shirts I had, so I will need another box (or 2) to do all of my shirts and dresses. 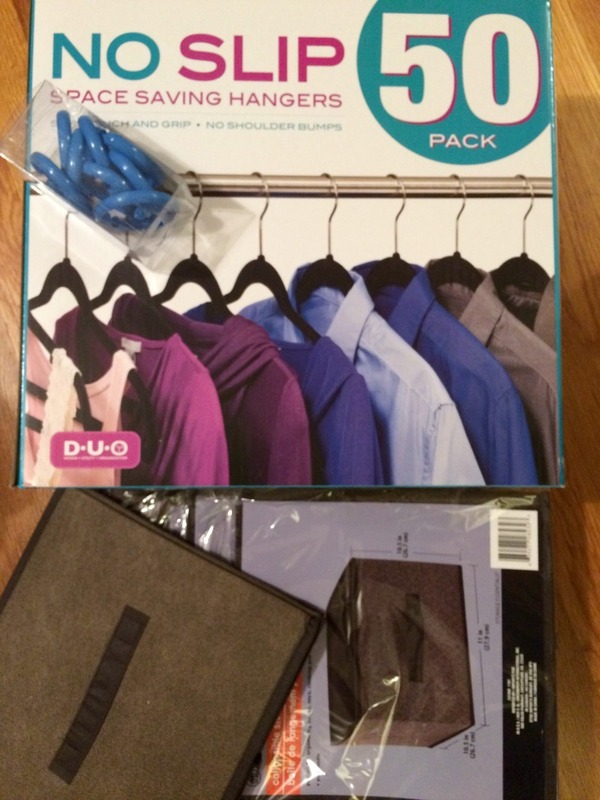 They also have special hangers for pants, scarves, and belts. Use Canvas Totes for sweaters: I bought 5 of these cubes at the Dollar Tree (so that's only $5!) 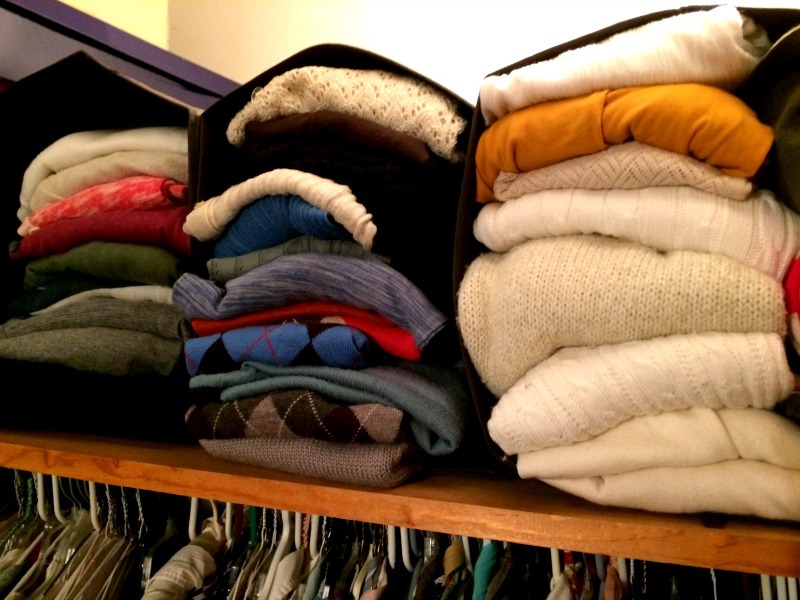 to organize my sweaters. I just turned them on their side and placed my folder sweaters in them on the shelf. Again, I misjudged the amount of sweaters I have, so I need to buy 1 more. 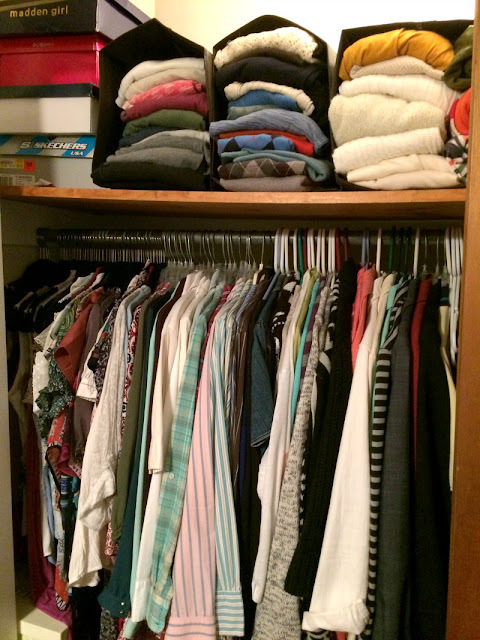 Pull everything out of your closet: I started in sections, cause I have a lot of clothes. 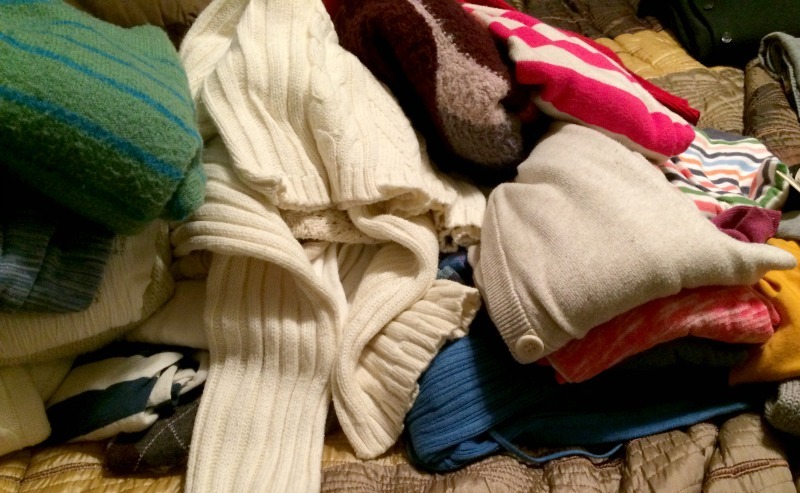 While you have your clothes out, make a pile for items you do not wear anymore to either sell or donate. If you caught my Instagram Story when I was doing this, you will have seen that I actually found a cardigan that still had the sticker and tags on it that I literally did not remember I had! It obviously got lost in my sweater-lanche. Organize your clothes by Style and Color: I am a little OCD about this. I like my clothes organized by type and color to help me find what I am looking for a lot quicker. 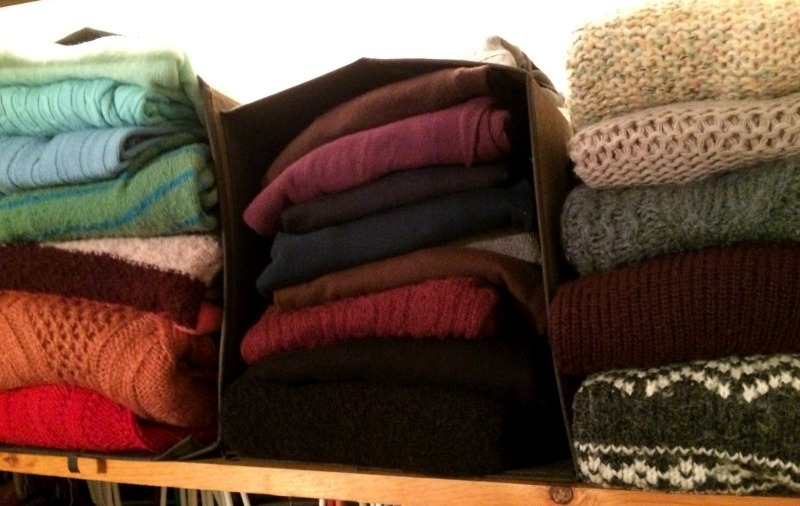 For my sweaters, I stored my cardigans together, then I organized the others by color. My hanging clothes are arranged from camis, to sleeveless, to short sleeved, to long sleeved, to jackets/blazers. I feel so grown up with matching hangers! I still need to buy a couple of more boxes to finish this closet and then tackle my dresses and skirts in the guest bedroom closet. 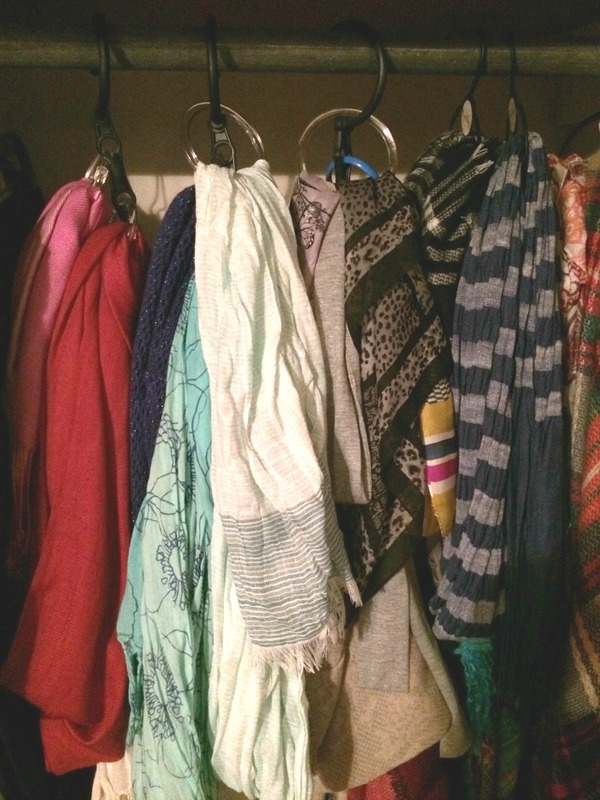 How do you keep your closet organized? I would love to hear your tips! 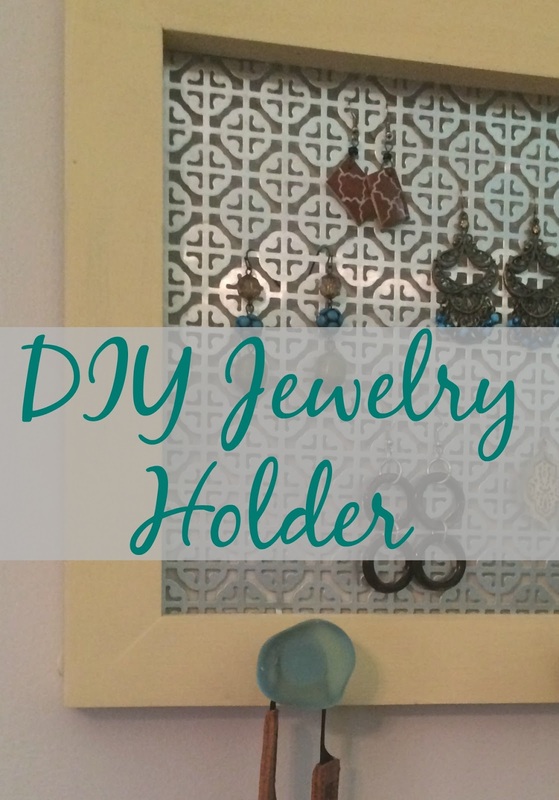 Organize your earrings and necklaces with my Easy DIY Jewelry Holder tutorial! The kids' closets are small. The boys have shorts stacked in the floor! The canvas totes would come in handy for that. The canvas totes are awesome and they are only $1!! !